So I have to get a certification to progress in my job, and it needs to involve Microsoft .NET. OK. 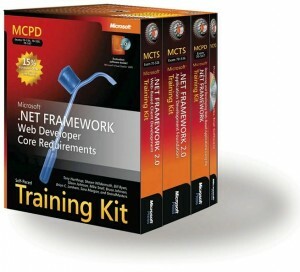 So I’m working through the MCPD (Microsoft Certified Professional Developer) .NET web development training kit, available at Amazon, Barnes and Noble, etc. In theory it’s all I need prepare for the 3 exams for the MCPD, 70-536, 70-528, 70-547. C# is surprisingly well-designed. Especially compared to say, PHP, which was only designed after the fact. I LOVE LOVE LOVE the elegant high tech tool metaphor gracing the cover. I love books instead of training, especially “online training”. But I need to map out a schedule and stick to it or it will get lost amid many other things. So here, I went through the books and with Perl’s help, added up the estimates for each section, adding a 10 minute review on each chapter. Hmmm… to do all the labs takes me longer than the estimates here, especially if I run into any trouble. I passed the first exam (70-536) on Wednesday. It was only 40 questions (it said some of them were “beta” questions they are testing and would not contribute to the score). I read the book, did the labs (but not the extra practice suggestions), and used the practice tests that came with the training kit to prepare. I was glad that the practice tests gave me an idea of which of the 7 subject areas I needed to improve. the real questions were not any better quality than the practice questions. There were several that were unclear. There was one where none of the code samples in the answer strictly matched the description in the question, and another where I was pretty sure all the answers were broken (but I may have just been ignorant). I did well on the real exam in areas where I knew I was weak, and did less well on areas on which I was strong in the practice tests. Huh. The questions requiring more than one answer on the real exam had the number of answers (“pick two answers”) clearly spelled out. That made them (seem) easier than the ones on the practice test where I would sometimes click two obvious ones and forget a third or something. There were some differences in emphasis. My real exam, if I remember correctly, didn’t have any questions about regular expressions, though the practice tests covered them heavily. Too bad that was one of my strong suits. But anyway, I passed. On to the 70-528 course. I passed the 70-547 exam this morning. Whew! 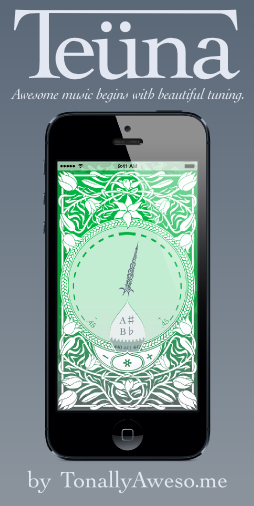 This one took me longer to complete than the other two, though I still had plenty of time left over. I used the training kit and the practice exam that came with it. I found that going through all 280ish questions in Study Mode was an interesting method. I learned quite a bit I think, but after doing it I couldn’t really measure anything with the practice exams because I remembered over 90% of the questions and could pick out the right answer without having to think through it again. machineKey — I’ve never messed with these at all but more than one of my exam questions involved them. sql caching — covered in the kit but I probably should have reviewed this more. But whatever. Now I’m totally certified on 5+-year-old Microsoft web development practices!